What makes a Quality Plumber? As part of our third ever Quality Plumber Week, running next week from 3rd-9th October, we're once again emphasising the importance of always using a Quality Plumber for any plumbing work undertaken within your home, however big or small the job. But what, you may ask, do we mean by the term "Quality Plumber" and where and how can you find one? One of the main goals of our Quality Plumber Week campaign is to reduce numbers of rogue installers operating in the industry by always sticking to skilled tradespeople, who will complete work in your property to a high standard and for a fair price. Below we've listed some top tips that you can follow to ensure you hire a professional and reduce your chances of getting ripped off. If you use an installer who belongs to a trade association (such as APHC) you'll be sure to have the job done by someone with minimum levels of qualifications and work experience, as all trade associations must check a tradesperson's claims to membership. It only takes a 2 minute phonecall to check an installer's credentials, so there really is no excuse not to do it. Trade associations should also be able to provide useful details of the types of work carried out by members in your area. Word of mouth recommendations can be a handy tool when searching for a truly quality plumber, especially if they've done work for a friend, family member or neighbour and you have the opportunity to take a look at the work undertaken by the contractor. Remember, recommendations shouldn't be considered on their own but rather should be looked at in conjunction with other methods of identifying a professional tradesman. Is the plumbing company a good business? Picking a contractor with a physical address will allow you to make contact before and after work has been undertaken. Any reputable company should be happy to provide this information, so if your contractor seems reluctant to do this it should set alarm bells ringing immediately. The same applies to being provided with a contact number which is essential, especially in case of emergencies. Long established businesses are often more likely to stick around in the event of a problem, so always bear this in mind when choosing an installer. By law, work on gas systems and appliances must be undertaken by an organisation listed on the Gas Safe Register, so be sure to check your gas engineer's credentials before allowing them to commence any work in your home. With faulty gas appliances prone to emitting toxic carbon monoxide gas, that quick check could mean the difference between life and death. To find an APHC member in your local area, simply search via our website at http://www.aphc.co.uk/find_an_installer.asp. If you're ever tempted to opt for the plumber with the cheapest quote or shortest waiting list remember that taking the time to find a truly Quality Plumber could save you a lot of time and money in the long run! 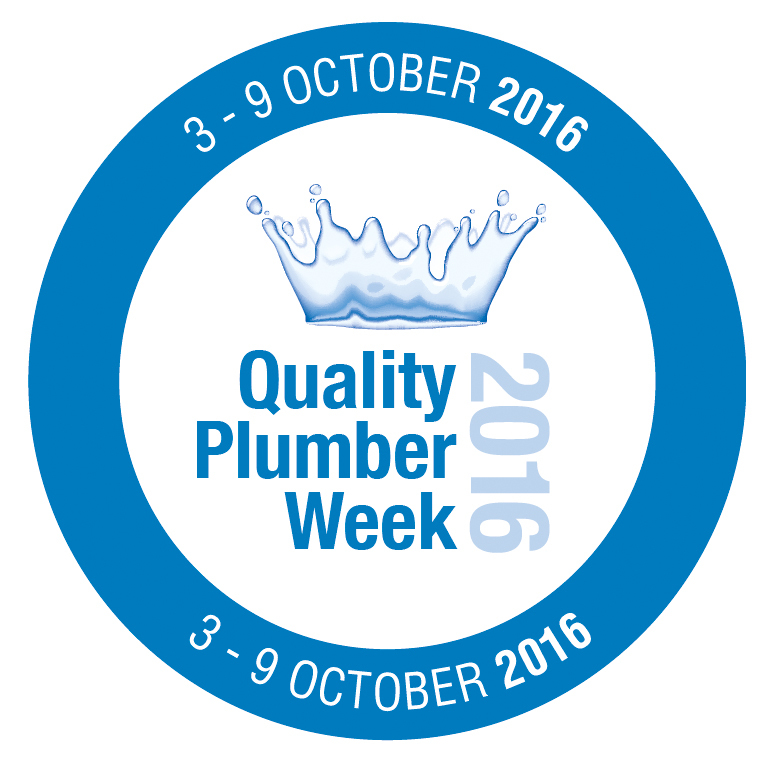 Find out more about Quality Plumber Week and how you can get involved at http://www.aphc.co.uk/quality-plumber-week.asp. With heavy rain and thunderstorms causing flash floods across some areas of the UK last week, we've all been reminded of the devastation and destruction that these natural events can cause. While there's nothing we can do to control the weather, careful preparation can significantly help to mitigate the damage and distress which inevitably accompanies an instance of flooding in our homes. 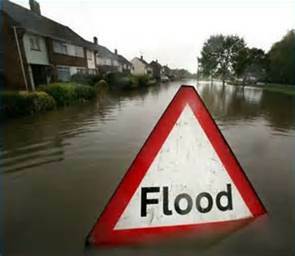 Follow flood warning and weather warning issued by the met office and the environment agency for your area. These can be found at http://www.metoffice.gov.uk/ and https://www.gov.uk/check-flood-risk. Once a flood warning has been issued it's a good idea to make up a flood kit, containing essential items and information to help you cope should flooding affect your home. The one thing most victims of a flood will tell you is the how fast the flood waters rose. Being prepared could save valuable property such as photographs or valuable jewellery and more importantly the lives of you, family and pets. Your kit should include a plan detailing how to turn off your gas, water and electricity, your evacuation site and a list of what to take with you. Important items to include are blankets, a mixture of warm and waterproof clothing, wellington boots , a first aid kits, rubber gloves and hand sanitizer. When preparing for a flood, be sure to move all valuable items and clothing to a high place and keep a small stock of strong plastic sheeting, sandbags and sand to protect doors and air vents against the rising floodwater. For more long term protection, use domestic flood barriers and fit toilet bungs to all downstairs WCs to mitigate the effects of floodwater rising through the sewage system. Always be sure to follow the evacuation advice of the emergency services and Environment Agency. Just before a flood is about to occur, disconnect washing machines and dishwashers to protect them from backflow and turn off gas, electricity and water at the stop valve. Be sure to close the lid on downstairs WCs and put a weight on top or use toilet bungs. If you have to walk through floodwaters, take care to avoid any hazards that might be lurking below the surface and try to keep children and other vulnerable people out of the water altogether. Remember, drain and other services access covers may be missing and it is easy to get trapped or sucked into these whilst in floodwater. Always let the emergency services rescue you rather than walking through flood water. As it is often contaminated with sewage, chemical or animal waste it's important to wash hands thoroughly after contact. When the floodwater begins to recede, a pump and generator can be used to remove standing water. Bear in mind that these tools should be used with caution and because they produce dangerous carbon monoxide fumes they should only be positioned in the open air. Only pump water when flood levels outside the property start to be lower than inside as this will help to reduce the risk of structural damage. 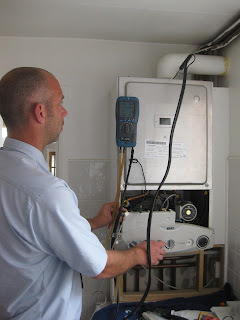 Make sure that gas and heating oil supplies are checked only by a quality plumber or heating engineer. Check that any person called out to work on gas installations is registered with Gas Safe and carries a Gas Safe Register photo ID card. When drying out your property, keep the thermostat between 20 and 22 ˚C for steady drying but if you decide to dry out your property naturally instead keep doors and windows open as much as possible. If you have any suspicion that drinking water has been contaminated (water running an unusual colour/tasting different) contact a Watersafe plumber straight away. They will be able to inspect your drinking water and, in some cases, take a sample for analysis and disinfect the water system inside your property. *Remember that in the event of a flood, emergency services will be busy and can only help where life is in danger. In an emergency dial 999 and for up to the minute information on flooding in your local area call the Environment Agency Flood Line on 0845 988 1188. We may have just experienced the hottest September day for 105 years, but the fact is it won't be long before the weather cools and we start to think about turning on our central heating again in time for autumn. Just as our thoughts turn to getting our boiler serviced, Gas Safety Week, the sixth annual campaign coordinated by the Gas Safe Register, is returning to remind us of the importance of gas safety. Running from 19th-25th September, Gas Safety Week 2016 will also be providing useful tips for improving safety and reducing fatal cases of CO poisoning. Produced by unsafe gas appliances, carbon monoxide (CO) is a poisonous gas which can cause serious long term health problems or even death. If inhaled, CO replaces oxygen in your bloodstream, causing body cells and tissues to die. As the six main symptoms of CO poisoning (headaches, dizziness, nausea, breathlessness, collapse and loss of consciousness) are similar to those of food poisoning, viral infections and fatigue, it's common to mistake it for something else, so if suffering from any of these it's important to be aware that your home may have a gas leak. If you think there may be a gas leak in your home and that you may be experiencing CO poisoning, the first thing you should do is to try and get fresh air; open doors and windows, turn off gas appliances and leave the house. It's also essential to seek medical help immediately via your doctor or by going to hospital, mentioning that you suspect CO poisoning. If you think you may be in immediate danger you can also call the Gas Emergency Helpline on 0800 111 999 and ask a Gas Safe Registered engineer to ensure your gas appliances and flues are safe. Only use a Gas Safe Registered Engineer to fix, fit and service your appliances. Find and check engineers at GasSafeRegister.co.uk or call 0800 408 5500. 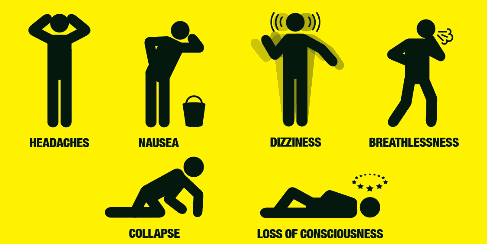 Fit an audible carbon monoxide alarm, which will alert you if there is carbon monoxide in your home. Check gas appliances for warnings that they are not working properly e.g. lazy yellow flames instead of crisp blue ones, black marks/stains on or around the appliance and too much condensation in the room. Have all gas appliances regularly serviced and safety checked every year. If you rent a home ask for a copy of the landlord’s current Gas Safety record. Check both sides of an engineer’s Gas Safe Register ID card and make sure they are qualified for the work you need doing. This information can be found on the back of the card. To ensure your family stays safe this winter season, find a quality Gas Safe Registered heating engineer in your local area via our website at http://www.aphc.co.uk/find_an_installer.asp. Running a boiler without regular servicing makes about as much sense as driving your car without its MOT, writes UK boiler manufacturer Baxi’s Jon Phillips. At first glance, drawing a comparison between your boiler and the family hatchback might seem unlikely.Yet when it comes to servicing, the similarities are obvious.That annual check-up of your motor ultimately ensures it operates efficiently and safely, and will continue to do so for months and years to come – and that‘s exactly why you should have the same approach when it comes to servicing your boiler. One of the best reasons for staying on top of your servicing schedule is that manufacturer warranties, which are designed to protect homeowners from expensive repairs, often require the buyer to commit to the annual servicing of their boiler. Manufacturers are keen for you to do this for good reason. 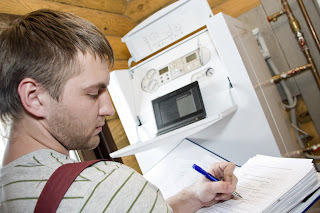 When your engineer visits, they will be able to ensure that your boiler is running at peak performance, which will ultimately save you money on your energy bills. Estimates suggest that you can save as much as 10% by regularly servicing your boiler1. They will also prevent the boiler from incurring unnecessary stresses and strains that could cause damage in the future, and clear out any debris that could affect the efficiency of the system.They’ll be checking to make sure that the seals, gaskets or heat exchanger aren’t showing any signs of wear and tear. In rare cases, a fault with your boiler can cause it to release poisonous carbon monoxide (CO) gasses, which cannot be detected through taste, scent or sight and pose a deadly risk to people living in the home. This check will ensure everything is in top running order, and will ultimately help to keep you and your family safe. It is also for this reason that it’s important that the engineer who carries out your service or any maintenance is Gas Safe registered. All Baxi engineers are manufacturer trained and carry Gas Safe accreditation, so you’ll know they’ve been trained to the highest level before coming into your home. You should also make sure that you use only approved, genuine parts from the manufacturer to ensure that your boiler continues to serve your family well for years to come.Remember, it’s always important to look after your boiler – because if you do your boiler will look after you. To find a quality heating engineer in your local area, simply search via the APHC website at http://www.aphc.co.uk/find_an_installer.asp.